When I was a young dancer my mum supported me, drove me to countless lessons, wrote pages of notes and spent a fortune on me. She wasn’t a dancer herself, but she loved to sit and watch and would encourage me to keep on going even if I was ready to give up. Today my mum is the reason I do what I do. She instilled in me a love of dance which has never left me. My goal has been to create an environment that is open and inclusive for everyone. 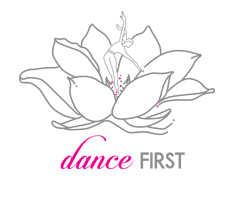 At Dance First, your ability, your age, your gender or your size do not matter. It’s about giving it a go. 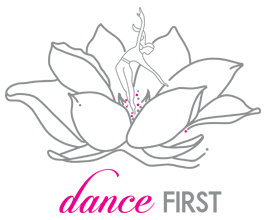 The Dance First logo is a magnolia, symbolising grace and dignity. From this strong and beautiful flower emerges a dancer. The greatest delight I get with teaching is watching others enjoy themselves dancing. The teachers at Dance First have a passion for dance and fostering connections among the students. We are a Dynamic studio. We love to Nuture our students to be the best they can be. We have a strong sense of Community. And the Empathy our teachers and students demonstrate brings us together.